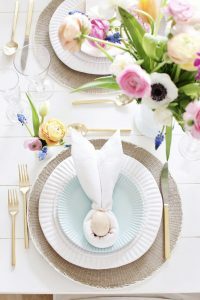 Easter is not far away. 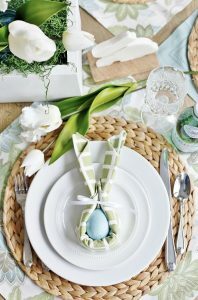 But sometimes life gets too busy for you to think of everything for your Easter lunch. If you’re having a family dinner or having guests over, here’s a simple and fun DIY for last-minute decorations. Something to tie the ears like yarn, twine, string, or ribbon. If you have extra flowers or extra herbs, you can add those. 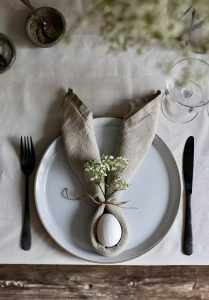 Just roll up the napkin, tie them together, add the egg, and VOILA!